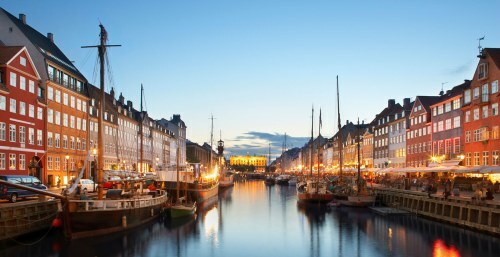 Icelandair has dropped the price of their off-season flights from Vancouver to Copenhagen, Denmark down to $586 CAD roundtrip including taxes. You can also turn these into a 2-in-1 trip with Iceland, and spend time in both Denmark and Iceland, for about $45 more. But again, off-season. This may interest the northern light chasers. 2. For the first and third flights, try using start and end dates from the list of regular roundtrip dates above. Then play around with the middle date, to give you more or less time in Iceland or Denmark. 3. Select your flights in Google Flights and click through to the Expedia website for booking. If you try clicking through from Google Flights to the Icelandair website, you may find it doesn't work (wrong type of flight, wrong price). Only clicking through to Expedia works. 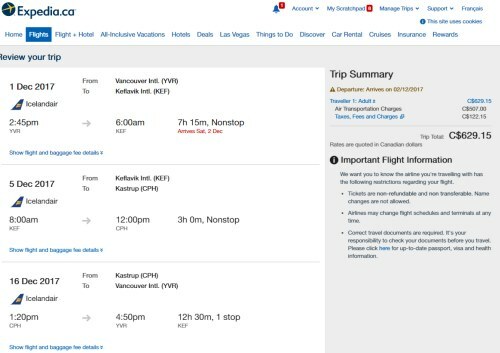 Vancouver to Istanbul, Turkey - $676 roundtrip after taxes. Greece $729. Seattle to places in Europe - low as $322 roundtrip after tax! vancouver, yvr, air canada, copenhagen, denmark, cph, europe, northern europe, scandinavia, nordic countries, oslo, norway, osl, stockholm, sweden and arn.